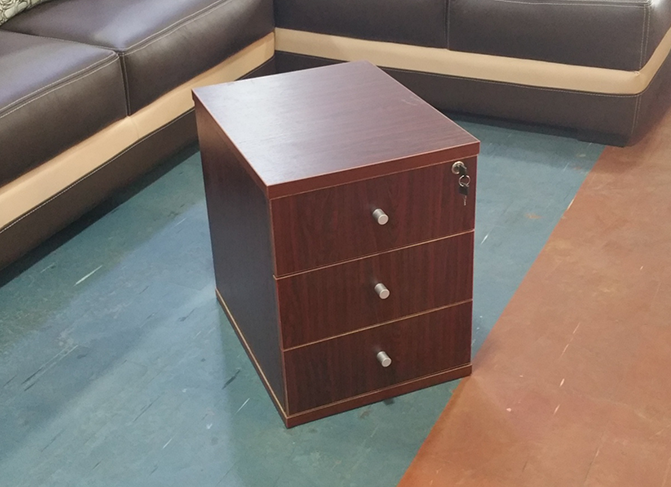 Stylish mobile drawers for offices and homes... Buy Mahogany Mobile Drawer in Lagos Nigeria. Delivary nationwide in Nigeria. Beacause offices need storage units that are stylish and flexible, hence our storage units are made to meet you taste. Finally, Hitech is a manufacturer of office and home furniture in Nigeria. The furniture we produce includes office chairs, office desks, Workstation desks, mobile drawers, sofa, wardrobes, cabinets, kitchen cabinets and lot more. Hitech offers filing and storage solutions useful as bespoke office storage cabinets, suitable for any office and industrial storage requirement, for businesses small or large. Based in Lagos, our experienced and factory trained staffs help customers specify and plan the installation to best suit their individual business needs. We have dedicated Project Managers who will design bespoke office storage solutions for customers all over the Nigeria. We have worked with clients in the public and private sectors on both large and small scale projects so we are certain to find - or design - your ideal storage solution. Businesses large and small still need to keep hard copy files even in today's world of electronic communication. Some organisation's are required by law to keep hard copies of documents e.g. police, doctors, courts, solicitors and many more just prefer the security of hard copies.